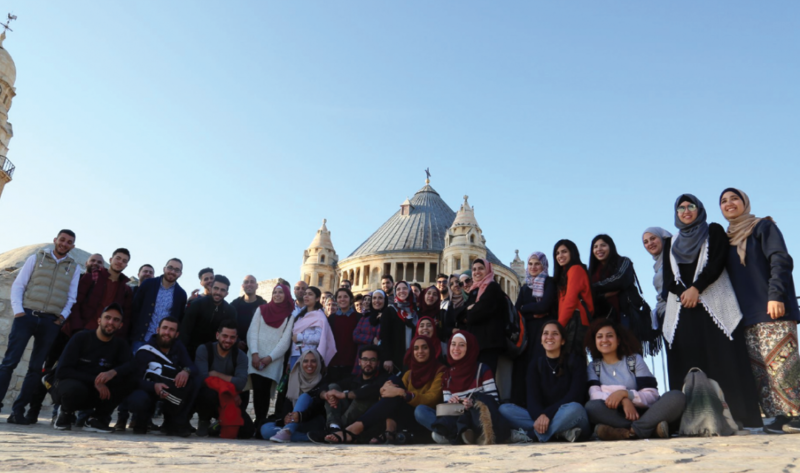 Burj Al-Luqluq Social Center Society organized a tour of the Young Guide 3 program funded by VAKT-I KIRAT to the historical Jerusalem with the participation of 40 male and female participants. The group visited Al-Rahma cemetery in addition to the graves of Sahabi Obada Bin Al-Samit and Shadad Bin Aws and they went to the view point of the western side of the Mount of Olives. Moreover, the group visited the historical and archeological sites and Silwan Fountain reaching to Silwan pool and then entered the Old City walls. The tour ended with visiting Zion Mountaind and Al-Dajani Waqf where the participants shared photos and information with one another.